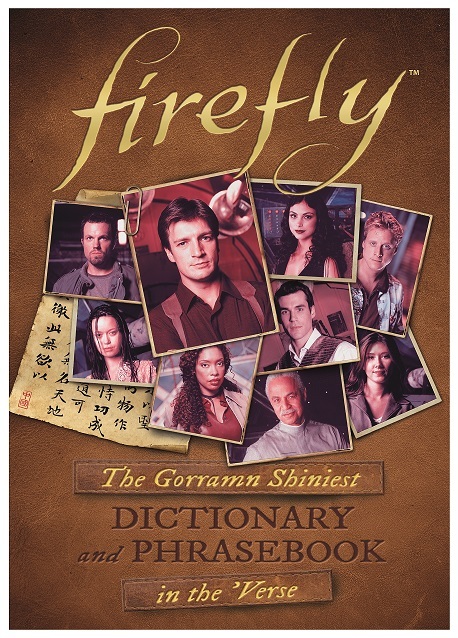 All this week, I’m celebrating the release of Firefly: The Gorramn Shiniest Dictionary and Phrasebook in the ‘Verse from Titan Books. Each day, I’m going to post about an aspect of working as a media/tie-in writer. I hope you enjoy this series of posts! When you hear the words “media/tie-in”, what do you think of? This industry-facing term is a description of a product that is created for an existing property such as a game, movie, book, etc. There is some legal mumbo-jumbo behind that, too, like licensing terms and agreements. In many cases, a media/tie-in book/game/movie is published and distributed by a company that is not owned or operated by the license holder. Instead, Company B inks an agreement with Company A, to legally produce and sell anything from T-shirts to video games. Individual artists, editors, or writers like myself, are then hired to produce that new title. On the surface this might sound simple, and I’ve heard the phrase “glorified fan fiction” bandied about to that effect, but there can be (and often are) many complexities and layers involved in this process depending upon the size and interest in the property. Those layers often help shape the story itself, which is partly why I feel “glorified fan fiction” is not an accurate representation of what media/tie-in writers do. Plus, I think this hurts fan fiction writers as well, because many fan fiction writers go on to work in publishing. Thus, they start out of the gate thinking all they need is the ability to tell a story. 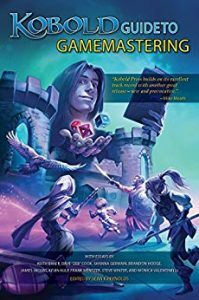 While storytelling is required for media/tie-in fiction, just as it is for original fiction, there are many other skills that we develop over time. These not only help us tell better stories, but also give us opportunities to build relationships and master the ability to work in tandem with other people on these projects as well. My role as a writer usually begins after an agreement has been signed and the publisher knows what they want to produce. From here, the project is managed in any number of ways, and it’s my responsibility to be flexible to the publisher’s needs. For example, some properties have what’s known as a “setting bible” and an “exclusions list” that details the key elements of a setting for their writers; others don’t. When a setting bible doesn’t exist, I wind up creating one for my project in order to provide proof of concept to save time. After all, the decisions I make when writing media/tie-in fiction, reference materials, or games are not entirely up to me. I am producing materials that often require a number of approvals, and this process can be very technical–especially if the publisher wants to feature a signature character, ship, setting, etc. For this reason, I feel it’s essential to keep a digital-or-paper trail or a record of the conversations I have between the publisher and myself. That allows me to research and confirm older decisions during the project, ones that naturally get missed given the amount of e-mails that occur throughout the development process. Often, this might include character sketches or proposed outlines as well. This type of background work is important in my experiences, because any decision I make is subject to further scrutiny during any leg of the process for both business and quality assurance purposes. Unlike my own work, in which I’m “the boss” and can flesh out as many or as little details as I desire, media/tie-in properties are often produced within a fabric of other publications and may or may not be bound by a larger framework. 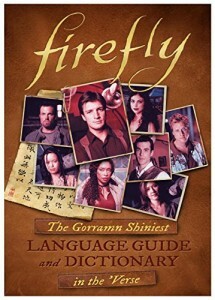 For example, a movie novelization’s outline might be guided by a screenplay or the studio’s direction. Writing a new Star Trek novel on the other hand, which precedes a long and storied legacy of other books based on the TV show and movies, can have more levers and pulleys since there’s more material to draw from. Sometimes the smallest detail, such as the color of a uniform or a minor character’s name, might have to be confirmed and attributed to its original source in the outline, too. To me, writing media/tie-in is a lot of fun, because I love writing that employs a level of complexity that channels my skills and forces me to grow creatively. Often, there are many aspects that feel like putting a puzzle together. The harder the challenge, the more I thrive on it–especially if I’m on deadline! But, media/tie-in has the added benefit to me as a writer, because most properties have an existing fan base. This means that my work has the potential of reaching more readers than my original work at this stage of my career, simply because fans are hungry for more of their beloved characters and stories. Long-term, this is something I’ll continue to build upon, because many of my readers who check out my original work have done so because they saw and liked what I wrote elsewhere. Not to mention, I get the added bonus of channeling my own fandoms into my work–which is ridiculously awesome! I hope you’ve enjoyed today’s look at media/tie-in. 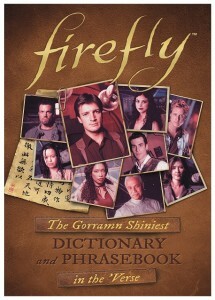 Tomorrow, I’ll be celebrating Firefly! 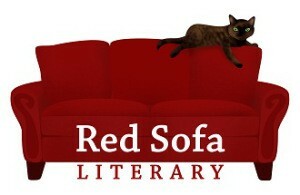 Happy to announce today that I have signed with Red Sofa Literary. 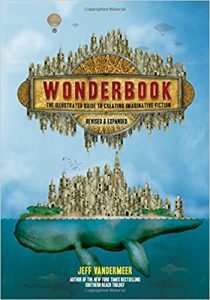 Jennie Goloboy and I are fine-tuning my proposal for a nonfiction book filled with worldbuilding games geared for writers. I couldn’t be happier about this development, and I’m looking forward to working with Jennie on this. More news as I get it.